The operator and two employees of a former medical supply company in Hawthorne and Ventura, California have been arrested by special agents of the U.S. Department of Health and Human Services’ Office of Inspector General and the Federal Bureau of Investigations (FBI) for health care fraud. The allegations state that the three individuals fraudulently charged Medicare for more than $24 million in unnecessary power wheelchairs and repairs. Tamara Yvonne Motley, aka Tamara Ogembe, 49, the operator of Action Medical Equipment and Supplies (Action), which closed in 2014, and Kaja Medical Equipment & Supply (Kaja), which closed in 2016. Cynthia Karina Marquez, 42, an officer manager at Action and Kaja. Juan Roberto Murillo, 41, a repair technician at Action and Kaja. The outcome of a federal grand jury was unsealed on December 14, 2017, making public a 29-count indictment against the three individuals. The indictment alleges that Motley formed and operated a scheme in which physicians would prescribe medically unnecessary durable medical equipment, like power wheelchairs, and Motley would submit the fraudulent bill to Medicare. Following a change in Medicare’s reimbursement rules in 2011, Action stopped billing for power wheelchairs and instead billed for repairs to these devices. 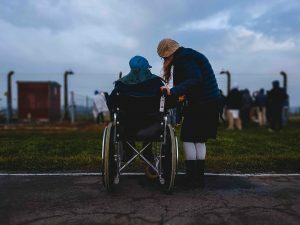 Both Action and Kaja submitted bills regarding the repair or replacement of power wheelchairs that were medically unnecessary, were not needed to make the device work, or were not performed at all. Over a period of eight years, Action billed Medicare more than $18.2 million for durable medical equipment, including power wheelchairs, wheelchair accessories, wheelchair repairs, back braces, knee braces, and more. The company received almost $10.3 million from Medicare. For more than three years, Kaja billed Medicare $6.3 million for similar items and received $2.8 million. All three individuals have been charged with 20 counts of health care fraud and one count of conspiracy to launder money. Motley and Marquez are charged with two counts of aggravated identity theft due to using other people’s names when operating the medical supply company. Motley is charged with an additional six counts of structuring cash transactions to avoid federal reporting requirements. The defendants were arraigned on December 21, 2017, and all entered not guilty pleas. Their trial is scheduled for February 13, 2018. Marquez was ordered to be detained while bond was set for Motley and Murillo. If convicted, each defendant faces up to 10 years in prison for each count of healthcare fraud. If you have information that your employer or a coworker is committing healthcare fraud and illegally billing Medicare, Medi-Cal, or another health care program, contact the experienced San Francisco health care fraud attorneys of Brod Law Firm. An experienced lawyer can review the situation and the evidence you have and recommend the best course of action. You may need to bring this information to the attention of appropriate authorities or you may be in the position to file a qui tam suit under the federal or California False Claims Act. To learn more, call (800) 427-7020 to schedule a free consultation.